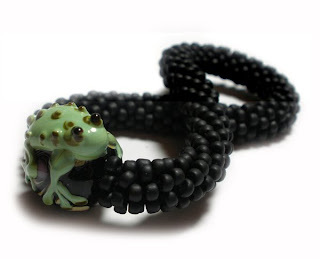 No Easy Beads: When a Prince Becomes A Frog. When a Prince Becomes A Frog. He becomes part of a crocheted bracelet. That is so sweet! 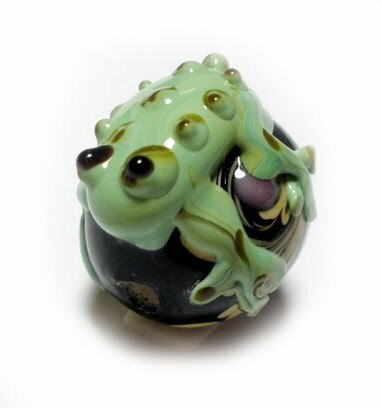 I love frogs and you've given yours a beautiful home. This is unbelievably so cool! 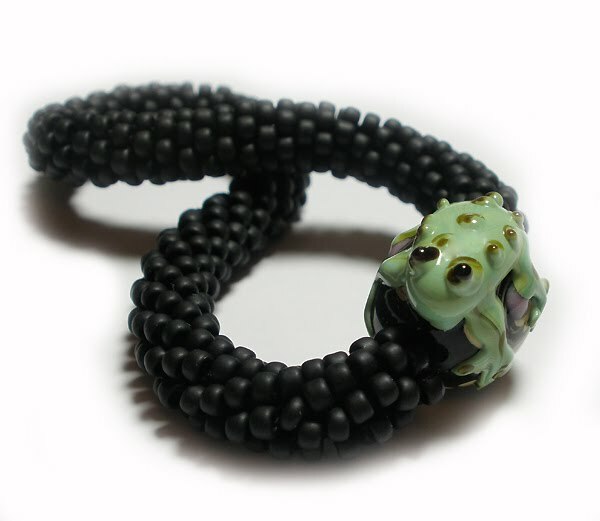 Nice bracelet - be careful you don't kiss him!